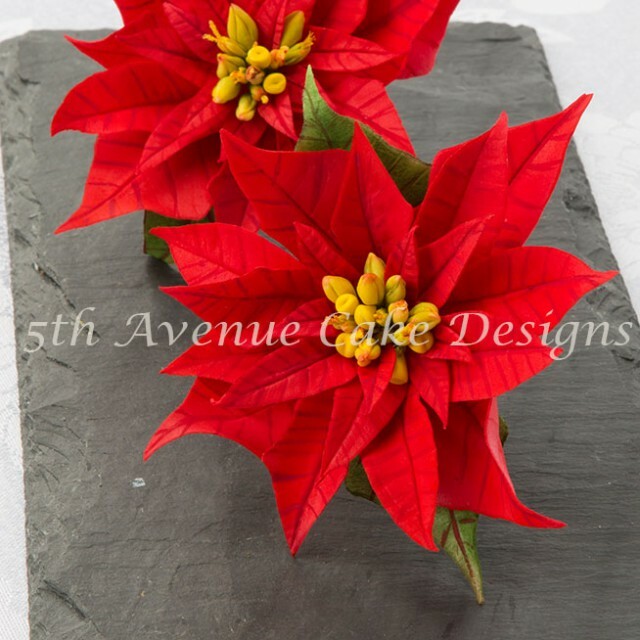 What could be more festive than a red poinsettia spray? the plant is sold every year, and most homes have a few. It has become a family tradition to design a special cake that represents the season. The poinsettias above will adorn our christmas cake this year. The centre are the flowers and buds! I find if you dust your bracts and centre while still pliable the colour pops and has depth. 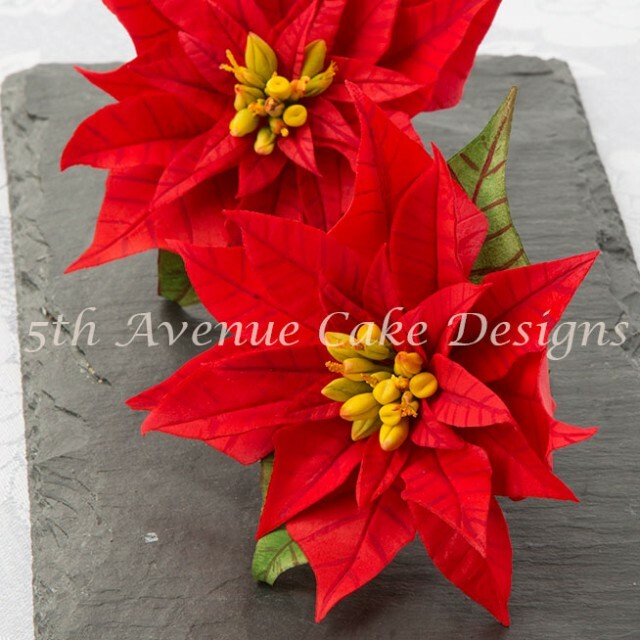 Although I chose red, white poinsettias are an elegant choice! 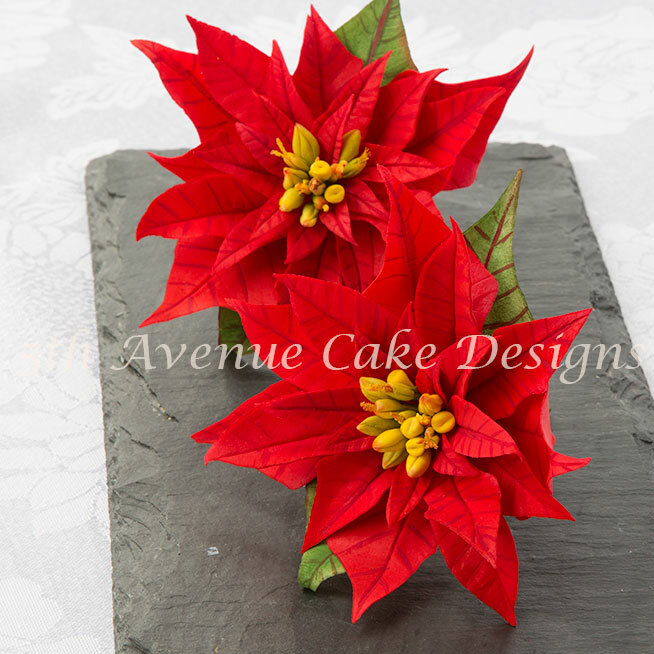 Once the paste has dried completely steam your poinsettias. 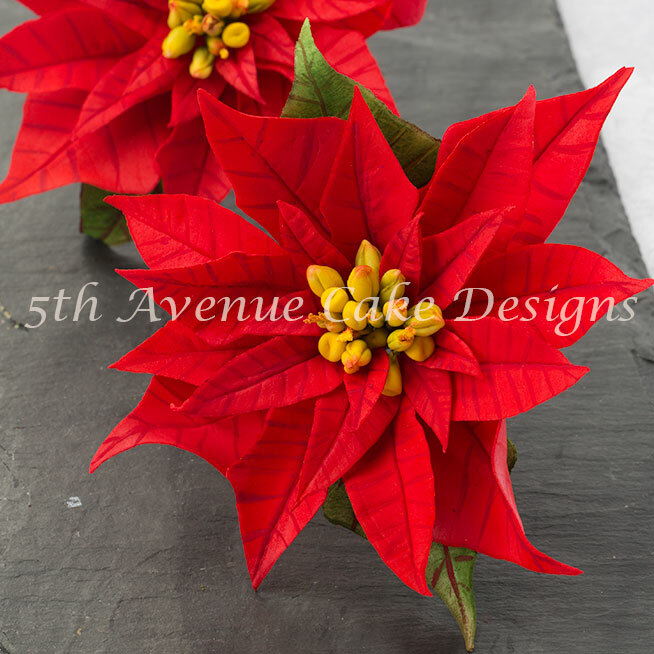 Watch the video below to see how I created the poinsettias. Once you have poinsettias made you can save them for the next year. Wrap in foam and place in an box. Thank you. They are beautiful. Merry Christmas to you and yours. Thank you, Patti..Merry Christmas and Happy New Year to and your loved ones! Beautiful thank you for the tutorial!